Strong Steel Attractive Versatile Fencing System Solutions. Home of the Super-Tough Popular Galvanized Steel labor-saving stretch through clips. 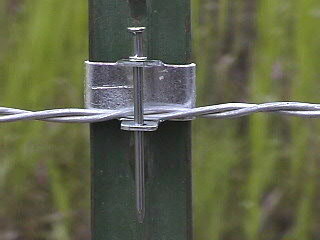 There is no reason to have unsightly, dangerous, saggy, loose fence wires again. 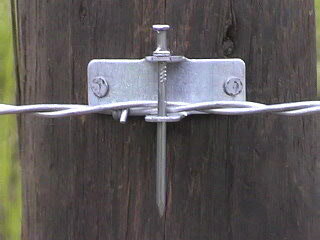 · Our T-Post clips are more than 1 1/2 times the strength of T-Post tie wire anchors. 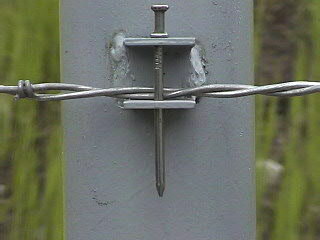 · A prefered method approved for use in attaching high tensile wire to steel posts. 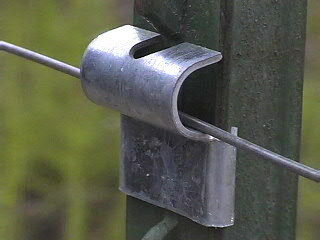 · Wires can be tightened through clips. are allowed to stretch over entire span between anchor points. · Wires last longer—not being damaged by tie wires or staples. 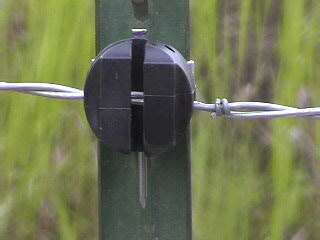 · The Tincup Creek Fencing System allows you to rapidly install and/or lay down wire. electric insulators are superior large animal retention systems. through and quickly replacing the wires in the clips. Copyright © 2007-2018 tincupcreekfence.com, Inc. All rights reserved. All Products Made in the State of Idaho, U.S.A.